The directors David Hall and Cameron Voss have a long history in the Mining and Engineering Industries. David’s extensive experience in Bulldozer operations technologies, design of engineering equipment for agriculture and mining uses. Cameron started out as a mining surveyor in the early 2000s in Central Queensland. David and Cameron first crossed paths in mid 2001 when David was managing his technology start-up company (which later sold to Hitachi Construction Machinery Co. in 2015) with a major earthmoving contractor on a mine site in Central Queensland. Over the next few years Cameron managed and operated his own survey contracting company focussing on mine surveying, mine rehabilitation and machine guidance, while David continued with his endeavours for Machine Guidance and improvement technologies for bulldozing. David with his extensive experience in bulldozer operations and Cameron’s experience in Mine reclamation design and construction saw the need to improve the efficiencies of Bulldozers in the mining and construction industries. They started 3D Data Guidance in late 2010 with a focus on improving dozers as a production tool for the mining industries. This has lead the company to create its own software for Mine rehabilitation design and costing, production reporting, landform construction Guidance and other technologies for improving the efficiencies of bulldozers as production tools. 3D Data Guidance Pty Ltd is now seen as a leader in efficient land rehabilitation design, dozer productivity utilization and hold various patents in the mining and reclamation spaces. The success of the company lies with having a team of creative people that can quickly identify client problems and needs and then react with fitting solutions in a rapidly changing environment. David was the founder of a GPS machine guidance company and holds design patents on large, high production dozer blades and GPS guidance systems. Having operated large dozers, he has extensive knowledge of dozing operations and a practical approach to technical applications of technology. David has previous expertise in managing Research projects for the Australian Coal Research Program and managing a GPS Machine Guidance start-up company. He has experience in capital raising, company mergers, design of GPS systems, design of earthmoving equipment, manufacturing and systems integration. Cameron is a qualified Mine Surveyor with over 18 years field and office experience in surveying and land rehabilitation. Cameron has owned and operated a contract survey company, employing and managing surveyors servicing mining companies and contract miners, BMA, Downer EDI, WATPAC Civil and Mining. He specialises in Rehabilitation earthwork design and implementation. He has also managed GPS enabled earthmoving equipment since 2001. Cameron is also co-inventor of numerous patents held by 3D Data Guidance Pty Ltd.
Lachlan has a Bachelor of Engineering (Aerospace Avionics) from QUT and has been with 3D Data Guidance since 2012, developing and maintaining in house software, computer & electronic systems. Lachlan has also worked for a local aerospace company developing software systems for remotely piloted aircraft and an autonomous system comapany developing and testing control systems for a GPS and radar guided autonomous ground rover. Lachlan is also co-inventor of several patents held by 3D Data Guidance Pty Ltd.
James was the Head of Infrastructure for 7 years at the European Bank for Reconstruction and Development (EBRD) in London, promoting infrastructure reform and initiatives in the countries of Central and Eastern Europe and the Commonwealth of Independent States (CIS). Following EBRD James continued in London with PriceWaterhouseCoopers (PwC) for 5 years consulting in business strategic development, mergers and acquisitions, and market analysis for public and private sector. Since returning to Australia James helped commercialise the Quantm technology, Regional Manger Asia Pacific for Trimble, Marketing Director for SmartCap and CEO for Earth Radar. 3D Data Guidance Pty Ltd (3D Data) is an Australian company specialising in improving and maximising the efficiency of Bulldozer fleets. 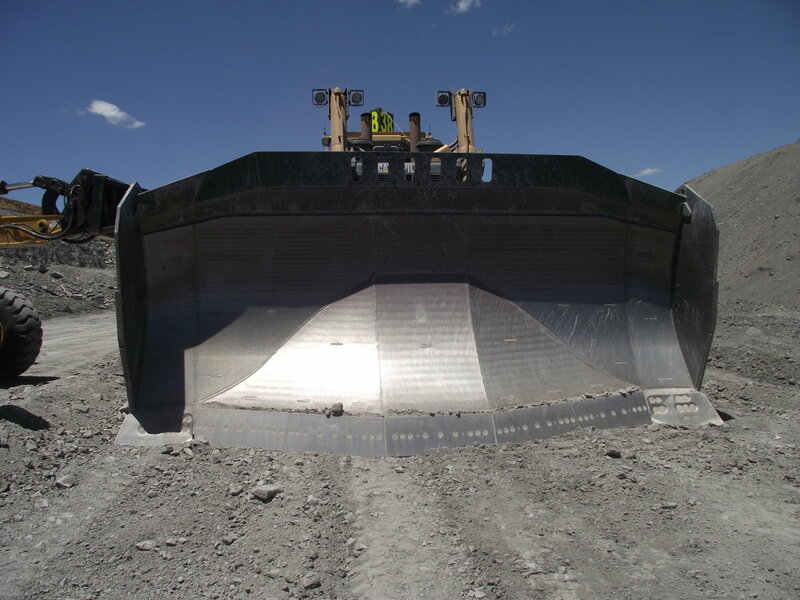 Using our patented software and other technical processes we identify and implement optimal push sequences to minimize costs associated with re-handle and less productive push practices in Bulldozer bulk push operations. With the addition of the Spade Blade to a Bulldozer we can further maximise productivity. By utilising our range of products we can deliver “Best Fit” and “Best Practice” that ensures a dozer fleet is working at maximum efficiency. The advantage of engaging 3D Data, is from our extensive expertise coming from a combined total of over 30 years the industry of GPS design and manufacture, equipment operation, surveying, survey control of GPS enabled earthmoving equipment, dozer blade design, earthwork design, and engineering. 3 D Data Guidance provide solutions for the efficient moving of materials using bulldozers for mine sites and civil construction sites where there is a requirement to move large volumes of materials cost effectively and efficiently. Bulk push of overburden often called dozer assist or dragline assist. Using this technology provides a set of strategies designed from a dozer perspective that mitigate wasteful removal and subsequent rehabilitation of overburden. This is achieved through better “in cabin” strategies for dozer operators and minimising the negative effects of rogue dozer operators. In addition all strategies can be benchtop tested prior to loading the strategy into the dozer fleet. Accuracies and savings of great significance are achieved. Land Rehabilitation bulk material earthworks. There is evidence that savings of up to 30% on rehabilitation can be achieved using our processes. Strategies for bulk stockpile handling e.g. coal, bauxite, woodchips, sand mining and many other bulk handling projects. Like items 1&2 we are able to provide significant savings and efficiencies. The company was formed after there was shown to be a need to improve the operational performance of Bulldozers for Bulk Push operations, just as Truck & Shovel optimisation techniques and software have evolved, the Dozer Optimisation market had so far been neglected. With more and more companies turning towards lower operating costs, the requirement to enhance the control and efficiency of Bulk Dozer Push operations has increased. 3D Data guidance became a reality in 2010.